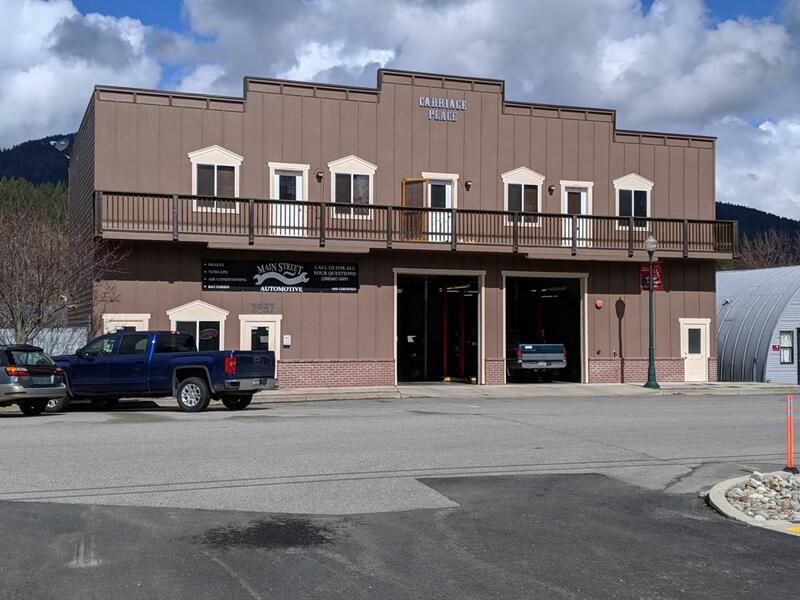 Unique Rathdrum Commercial building for sale on Main St. 5,600SF building with 2,800 SF on ground floor, multiple garage doors in front and back, currently used as an automotive shop. Upstairs is an additional 2,800 SF of wide open space with full kitchen, bathroom, closets and a beautiful deck that stretches along the entire front side of the building. Radiant heat in the ground floor, along with on-demand water system throughout the building. Staircases at each end of the building allow for potential to split the upstairs unit to two apartments, or make an awesome office with wide open floor plan. This building offers a variety of uses with beautiful craftsman work throughout the building. Listing provided courtesy of Select Properties/Associated Brokers.